Spornes beach in Raet national park. Many experiences in Southern Norway’s first national park - Raet. Do you enjoy swimming off delightful beaches, canoeing, boat trips, camping, walking in a unique natural setting, cycling, fishing, diving, birdwatching, visiting idyllic outlying harbours or exploring cultural heritage? 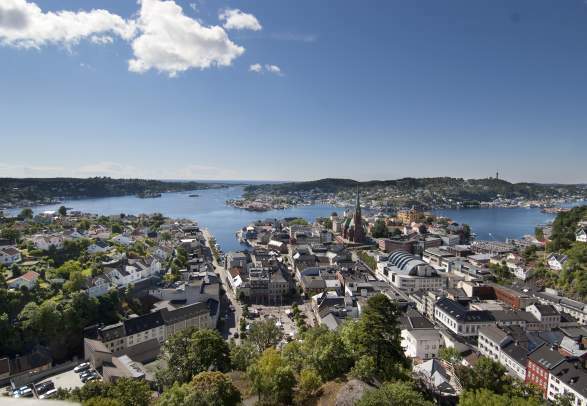 If so, welcome to Raet National Park in Arendal, Grimstad and Tvedestrand in Southern Norway. Raet National Park was created in 2016 to protect the special natural area which extends from the Valøyene islands off Grimstad along the entire Arendal coastal strip to Lyngør in Tvedestrand. The park covers a total of 607 square kilometres of coastal nature and sea. Raet contains visible traces of the ice age around 12,000 years ago. When the enormous glacier that once existed in the area retreated, it left behind huge quantities of stone, sand, gravel and clay which it had picked up during its journey. This process led to the creation of a unique coastal landscape. Raet National Park is one of Southern Norway’s most popular outdoor recreation areas, and many people visit the seaway, particularly during the summer months. Many of the islands are protected as outdoor recreation areas and as an archipelago park. The national park is ideal for kayaking, windsurfing, boat trips and walks, recreational fishing and swimming. The cultural history of the national park is dominated by its proximity to the sea. There are four protected lighthouses in the park: Lyngør, Møkkalasset, Store and Lille Torungen.